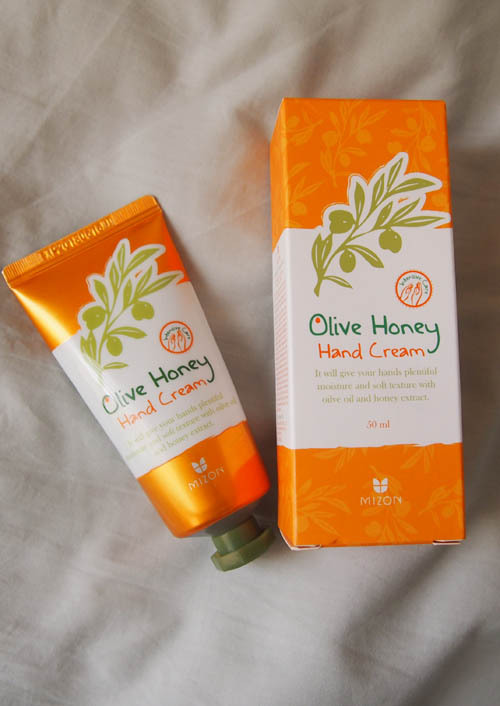 More hand cream reviews because I have dry hands and love using hand creams. I decided to pick this up from Rose Rose Shop because of their free shipping on Mizon items. Also, I love anything with honey in it so I thought it was a good opportunity to try something new. It will give your hands plentiful moisture and soft texture with olive oil and honey extract. Extra virgin olive oil 2,500mg, honey extract 500mg. Directions: After washing and drying hands, apply proper amount of the hand cream onto the hands evenly. This hand cream smells like bubblegum to me. It is of a thin, lotion-like texture. I have only used this throughout Spring and Summer so I cannot attest to its hydrating properties in cooler months. I will however, say that my hands still feel dry even after applying the cream. The hand cream is fast absorbing and not sticky at all. My hands feel softer after application. I won't repurchase this hand cream again for my dry hands as I have found better at this price point. Sorry Mizon.